Whoops! I published before the recipe and photos were added! I was playing around with the lip scrub idea and I thought why can’t I mix it just like frosting? After all, I make a chocolate frosting in my food processor occasionally and I love it on saltine crackers. My point is that the chocolate frosting still has a granular texture from the sugar and that is fairly close to what I want in a lip scrub. If you don’t know what I mean, imagine creaming butter and sugar together in the mixer for cookie until the butter is nearly white and the entire mixture is fluffy. That is the texture I’m looking for. I’m going to use the same recipe that I posted on February 20th. First things first, I weighed my ingredients into a beaker and then used a rubber scraper to scrape the ingredients into the food processor bowl. I put the lid on the bowl and pulsed the lip scrub until completely mixed. I did have to scrape the sides of the bowl twice to make sure everything was mixed. Perfect! The mixing in the bowl meant I didn’t have to melt any ingredients and I love the fluffy look of the scrub. The best part in my opinion is that I washed the bowl and the flavor didn’t stay! If you have a smaller bowl that fits inside your food processor, I would highly recommend using that. 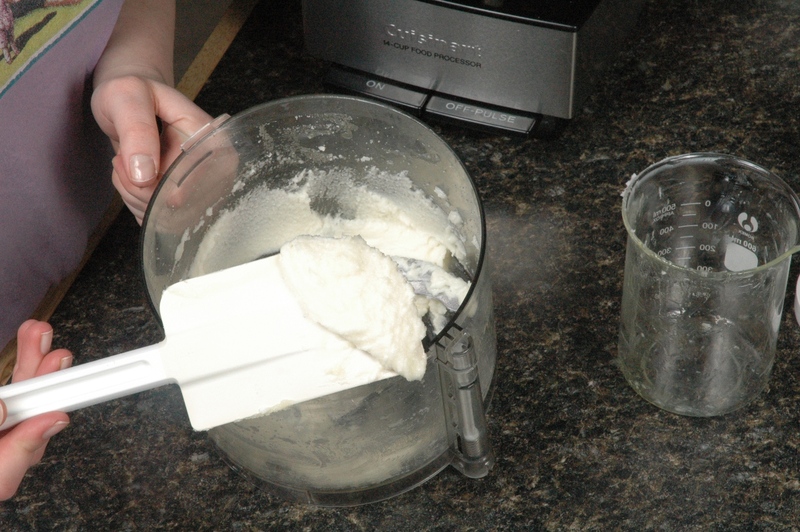 If you would rather use a mixer, go ahead and use that. You are just wanting the sugar and oils to be beat together. The longer you beat them together, the smoother finish it will have. If you don’t like the feeling of a regular granulated sugar, you could use a ultra fine sugar (not powdered sugar). 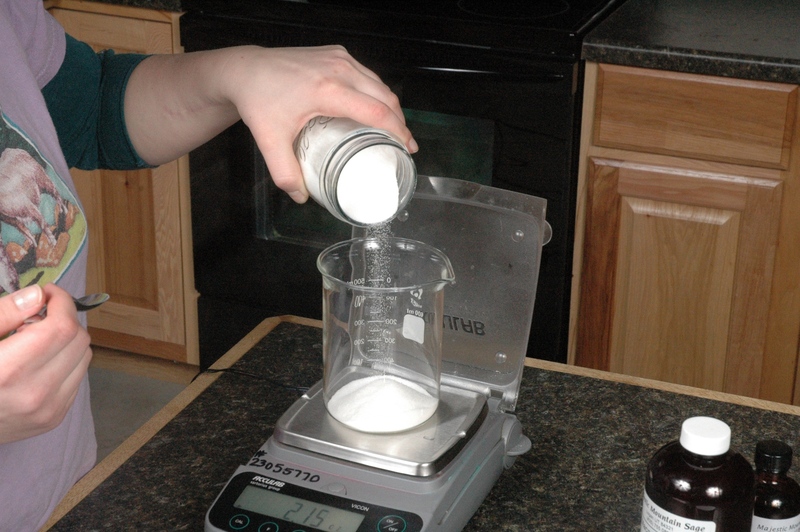 Weigh sugar and put in food processor. 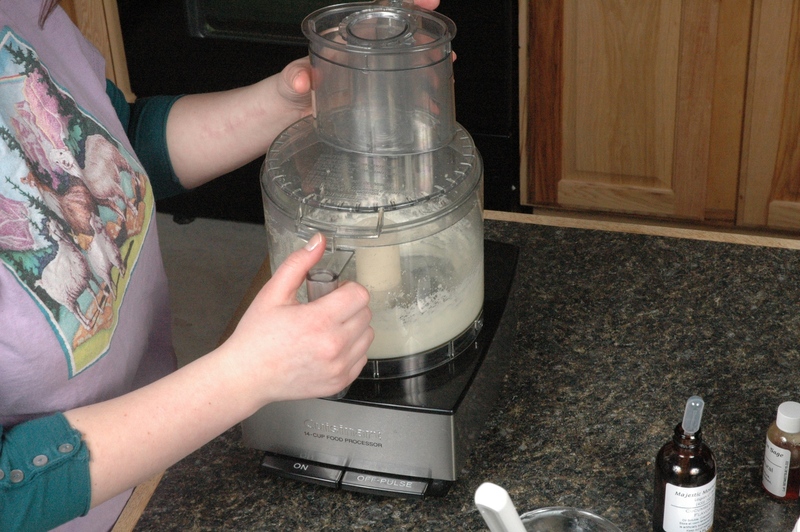 Add oils to food processor. All ingredients in the food processor. Our finished Fluffy Lip Scrub. I’ve never used any of your flavor oils. I’m always worried that I won’t like it and then I’ll be stuck with a bottle of yuck. To bad there’s not some way you could do flavor and even fragrance samples. What are the possibilities? We do offer sniffy samples of fragrances. When you place an order just request samples of the fragrances you want to smell and we will try to include them in the order. As far as flavors and essential oils, we don’t offer samples of those. Wow that looks yummy! My winter lips could use a good scrub. Thanks! Maybe I’m out of the loop — I had never heard of a lip scrub before! Oh, and I’m glad to know I can request samples of fragrances when I place my order. Good to know! I Received a sample with my order and was very excited about making it after using it. Last night I make a batch and it was very easy not to mention a really nice lip scrub. Thank you so much! The previous lip scrub I made took a lot of time to make and was quite spendy also. 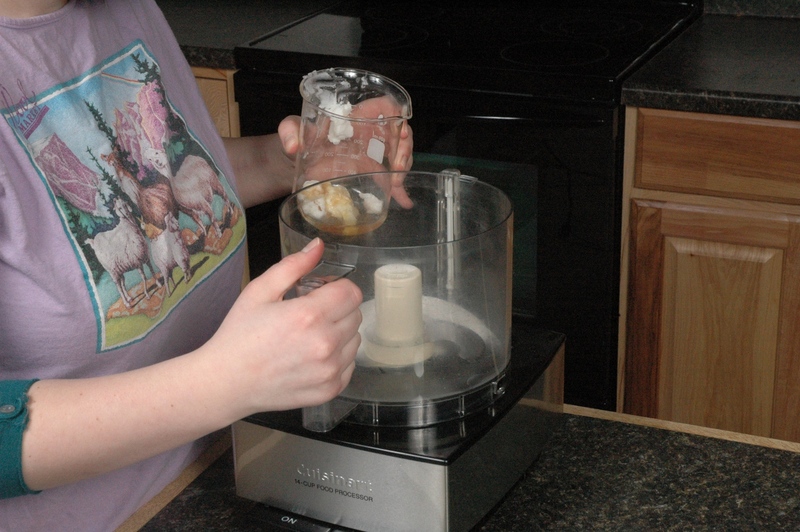 What is the shelf life of a melted or mixed in a food processor lip scrub product? 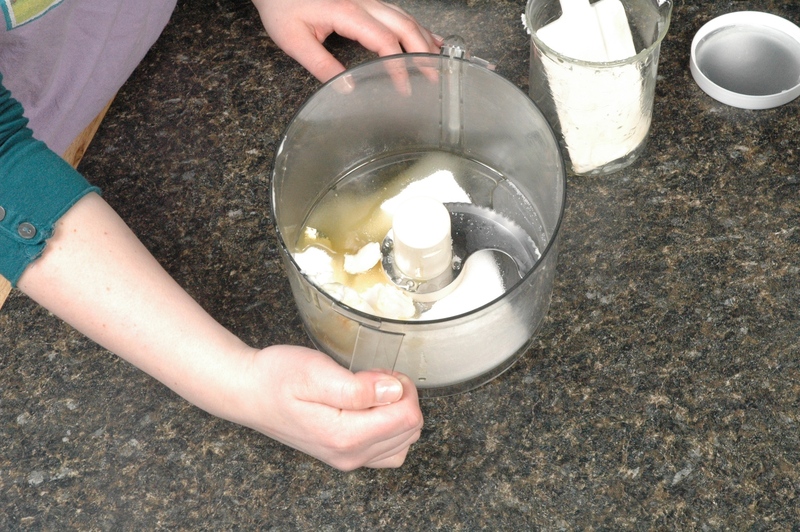 This depends on the oils used in the mixture. All of the oils we have used have at least 9 months of shelf life. Some are 12 to 24 months. I love this scrub! Since our lips do not produce natural oils themselves, this scrub is nice to just leave on for a little while. I used Sugar Kisses for my flavor and it’s getting great reviews. It’s a simple, all natural scrub that is user friendly! Is there a reason for using the macadamia oil/butter or can other oils/butters be used? Any oil and butter can be used. I just used the Macadamia oil and butter for the minimal flavor. Test other oils and butters to see what you like.